No matter the time of day, heading out to the pond at StarHill Farms with your fishing pole, tackle box, and maybe a beer or two in hand will result in utmost relaxation. 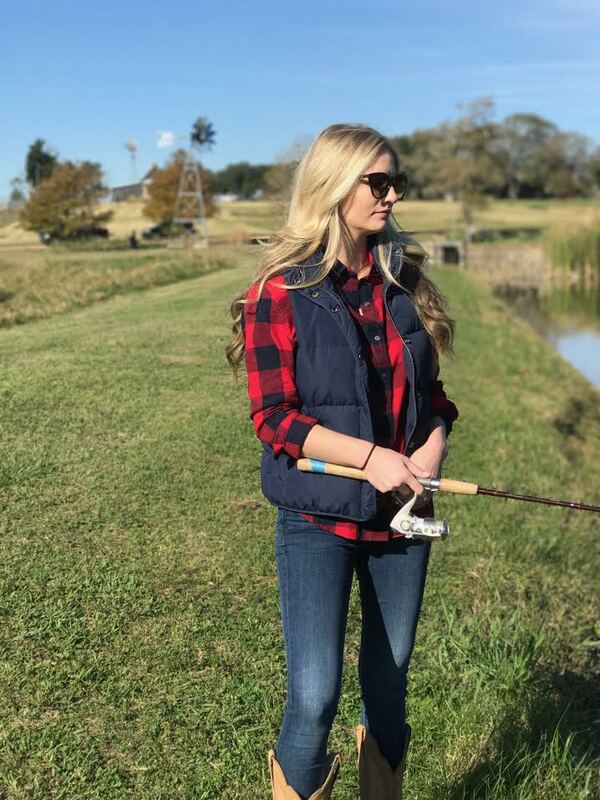 Surrounded by gorgeous Texas scenery, the ponds on the property provide a picturesque and enjoyable fishing experience. My personal, all-time favorite spot to fish is Yancey Pond, close by Cabin on the Hill and Hinze Cabin. Not just because of all the fish I’ve caught, but because of the social setting it provides. The dock extends deep into the pond and includes a picnic table for any non-fishing friends to lounge and enjoy the atmosphere alongside of you. I can recall so many memorable conversations taking place on this dock, and of course, catching plenty of fish, too. Like the time my nephew, Gunnar, caught a 3-pound bass with just a stick and some line attached to it, truly designed to just keep him busy. I’ve caught sunrises and sunsets, warm summer breezes and cool night falls (and plenty of bass) from this spot. However, to be fair, if there is a family fishing competition in place, I would toss my line along the banks, close to the tall grass, where the big fish hide. But that’s just because I’m competitive. On the other side of the property, you’ll find an even bigger pond, appropriately named Big Pond, with many twists and turns, offering something new to explore every time you cast your line. And, if you’re patient enough, the big fish will bite. On average, you’ll find 2-pound bass on this side of the property, although there is rumored to be a few 5-pounders. Purchase a basic spinning reel and rod. Here’s one I found from Bass Pro Shops that would work. Ya gotta have bait! Here are some of the soft bait worms I’ve used (successfully) while fishing at StarHill Farms. You’ll also need weights and hooks, too. TGFY—thank gosh for Youtube. Here, you’ll find how to tie your weight, hook, and worm on to your fishing line. Practice makes perfect. Here is a good Youtube video for reference. Relax, have fun, and enjoy the moment. Don’t be afraid to take the fish off the hook. This might be the worst one for a first-time fisher. Just remember, they aren’t going to bite you. Be sure to pack some fishing pliers in your pack for easy removal of hook.